Overall, one in three vacancies were unfilled for six months or more. 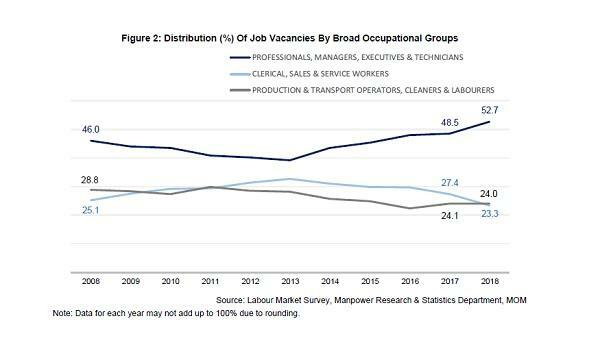 This chart from the Ministry of Manpower shows that professionals, managers, executives & technicians’ (PMET) share of all job vacancies trended higher in 2018 at 52.7% in 2018 from 48.5% in 2017. Meanwhile, the share for clerical, sales & service workers declined further to 23.3% from 27.4% in 2017, whilst that for production & transport operators, cleaners & labourers remained unchanged at 24%. MOM also added that non-PMET vacancies remained harder to fill than PMET vacancies. 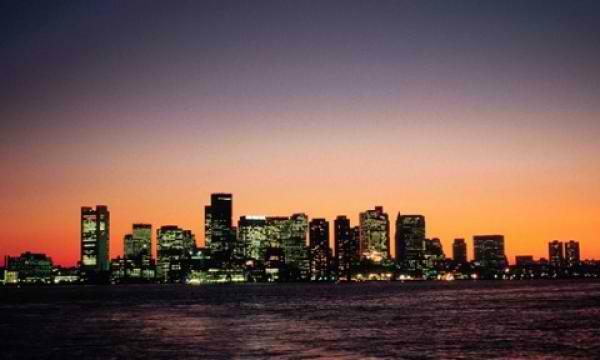 Employers cited that they struggle to fill in non-PMET positions as the pay and working conditions they offer could not meet what applicants are looking for. Overall, there were one in three vacancies unfilled for six months or more.